It's a common refrain: "I'd rather watch paint dry" than sit through some boring event. Good news, everyone! YouTube is here to fulfill your watching-paint-dry needs, in any form you can imagine. Let's take a tour. 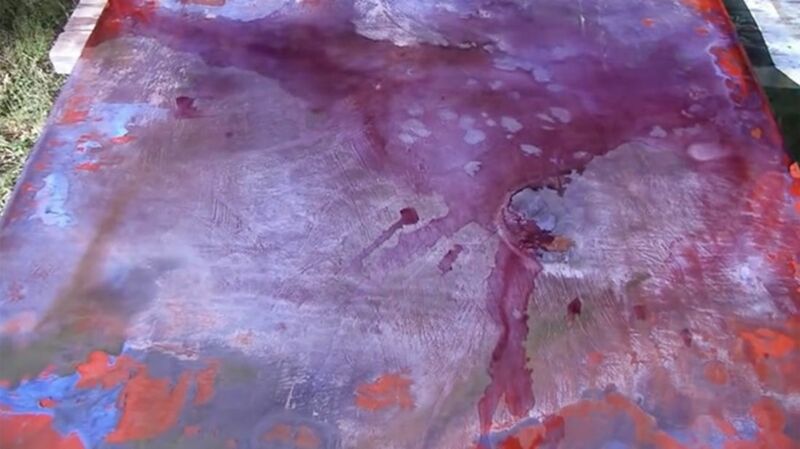 In this epic video, Glen Wilson brushes paint onto a wall, and we watch it dry. There's really not much more to it than that. It's impressive that the video is, for some reason, presented at 60 frames per second—presumably so you can really get a hyper-real sense of the drying as it happens—but the real action here involves zipping ahead. If you jump forward in the video, you can perceive the paint drying in a way that just isn't obvious in real time. If you've ever wanted to watch paint dry, you can now do it in half the time through the wonders of time lapse. I stumbled upon Space Squid contributor David Johnston as he was in the middle of an experiment in layering of patina. Because of the 94-degree Texas sun, it didn't take all that long for the transformation to occur. Paint dries quick in Austin. In this video, Sixty Symbols shows us paint drying under a microscope, explaining what's happening as the paint dries. This one is both beautiful and educational! If that's not enough footage of paint drying, check out Why This Filmmaker Shot a 14-Hour Movie About Paint Drying.